Copal has the fallowing certifications - ISO 9001:2008 and ISO 14001:2004. Specialized aluminum machining with EN ISO 3834-2 and EN 15085-2. 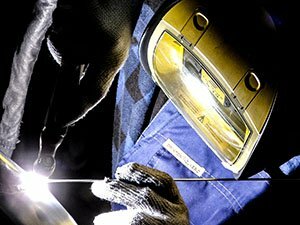 Our range of services include the fabrication of welded structures of various sizes using the TIG and MIG techniques. Since its foundation, our company has also included aluminium welding among its services. An International Welding Engineer (IWE) supervises the welding process. 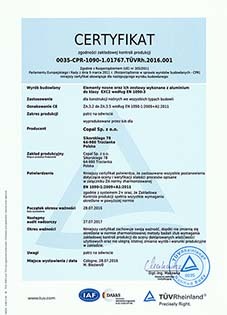 Our credentials are confirmed by the 15085 certification for class CL2 as well as EN ISO 3834. 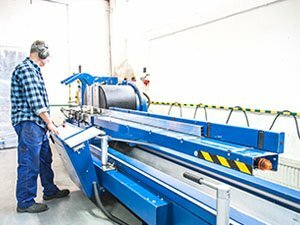 We offer not only aluminium profile welding, but also the welding of aluminium sheets and pipes. We are able to fabricate complete welded aluminium structures based on a Client's documentation. 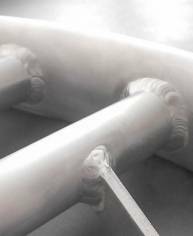 This includes both large structures from bent pipes as well as thin walled elements. Our welders are qualified according to EN ISO 9606-1/-2, which guarantees the quality of the services undertaken. We invite you to place your request for welded aluminium components and in return can offer professional technical advisory and efficient execution of all projects. 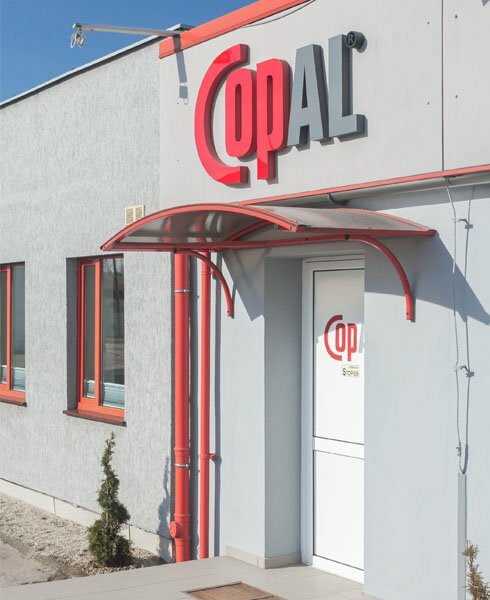 The range of treatments offered by Copal includes the bending of aluminium profiles. We offer not only bending using rolls and presses, but also MANDREL bening. Having our own machine shop gives us access to the dedicated tools needed for bending profiles requested by Clients. The maximum radius we can obtain when tension bending is R=650mm. Our offer includes bending non-standard profiles with non-standard radii and alloys. 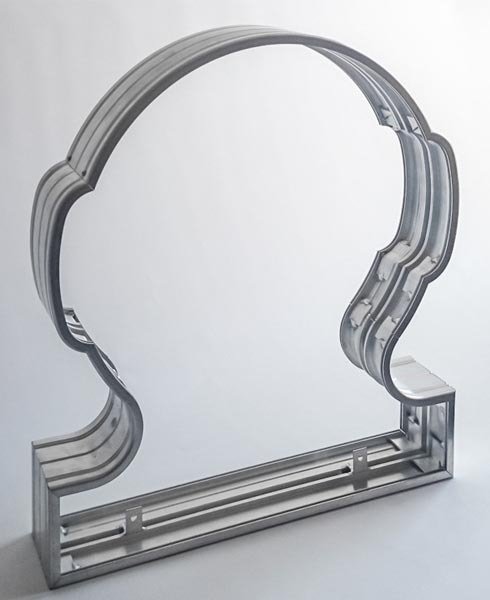 Thanks to our own ageing furnace, we can also offer hardening, which is the ageing of aluminium profiles after bending, to hardness condition T4. We offer our clients complete repeatability, achieved by maintaining 100% control of the production process. We also offer additional working of bent profiles, including welding, CNC machining, and punching. 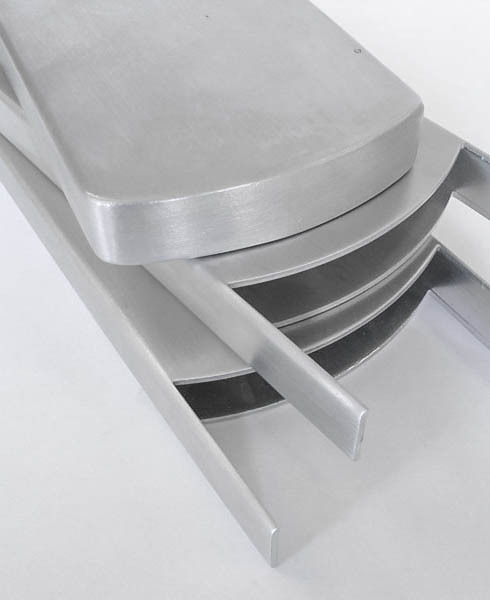 Our company provides machining services both on aluminium profiles delivered to us and on materials purchased by us according to Client specifications. Copal has also offered punching among its services since its inception. In cases of batch production this solution guarantees low production cost, while maintaining high repeatability. We own eccentric and hydraulic presses with pressures of up to 64 tonnes. Our long running cooperation with a provider of punching tools allows us to undertake projects from the very beginning. Our clients may have complete trust in our knowledge and experience in the field of punching. We prepare comprehensive production lines in order to minimise costs and increase production efficiency. 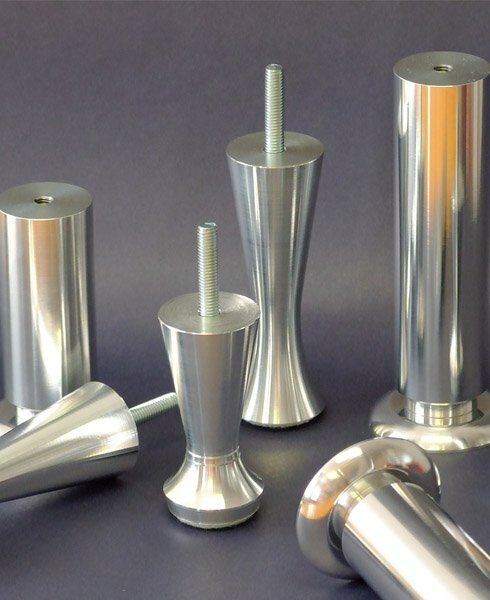 Our services include the turning and milling of aluminium profiles. Our constantly improved machinery allows us to perform milling within a very narrow scope of tolerances and with high requirements regarding surface classes. Our trained staff prepare deployment and measurement documentation as per our Client’s requests. 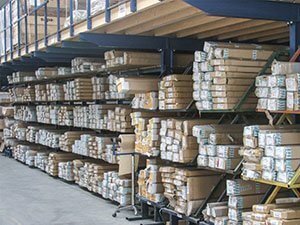 All products are controlled during production, and production documentation is stored in order to guarantee the highest quality of service to our Clients. We are constantly upgrading our machinery, which allows us, for instance, to offer the milling of sheets and plates. A milling plotter with a work surface of 6x2.2 m also allows us to mill 6m profiles. We make all our own milling tools, which allows us to fully control the process and effectively react to any changes. We also provide decorative machining services, used, for instance, in the furniture industry. 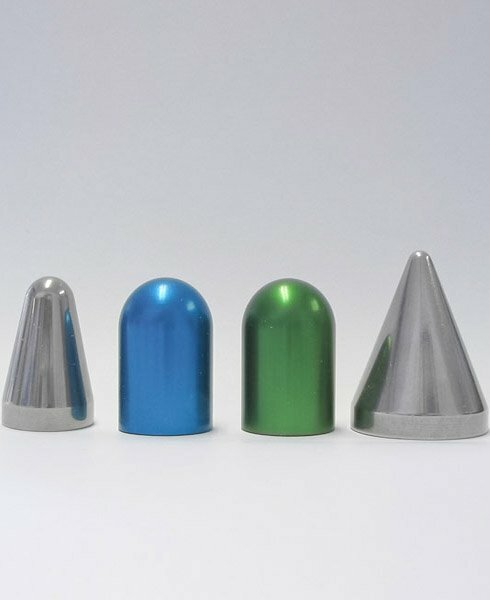 In the case of products that require finishing after treatment, we also offer a full range of surface treatments of aluminium details in accordance with Client specifications. These services are performed by our proven and trusted subcontractors, guaranteeing the highest quality of service. 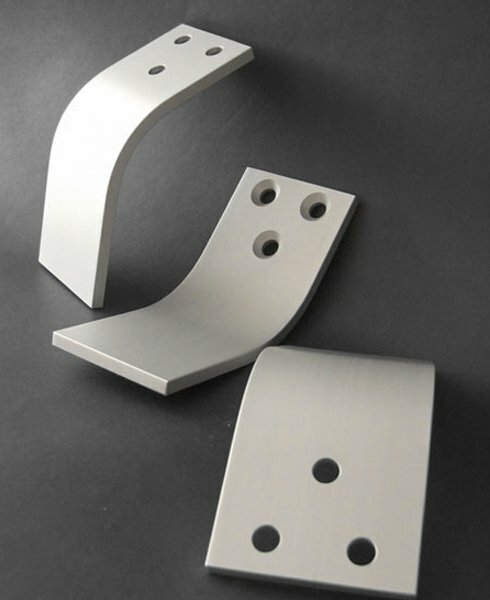 Bent corners for the manufacture of panels as well as lighting handles and supports make our range of products complete. Our aim is to shorten deadlines! DIN EN ISO 3834-2 Quality requirement for the fusion welding of metallic materials. Comprehensive quality requirements. DIN EN 15085-2 Welding of railway vehicles and components. Quality requirements in class CI2 The audit was carried out by GSI SLC certification agency. Specialized aluminium profiles machining. Proof has been furnished by means of an audit that the requirements of ISO 14001:2004 are met. Providing services in special machining of aluminium profiles, the Copal Sp.z o.o. company has been on the market since 1994. We created a brand which is recognized both in Poland and all of Europe, due to well-equipped machinery park, punctuality and highly qualified team.